They say it’s bigger and better in Texas. 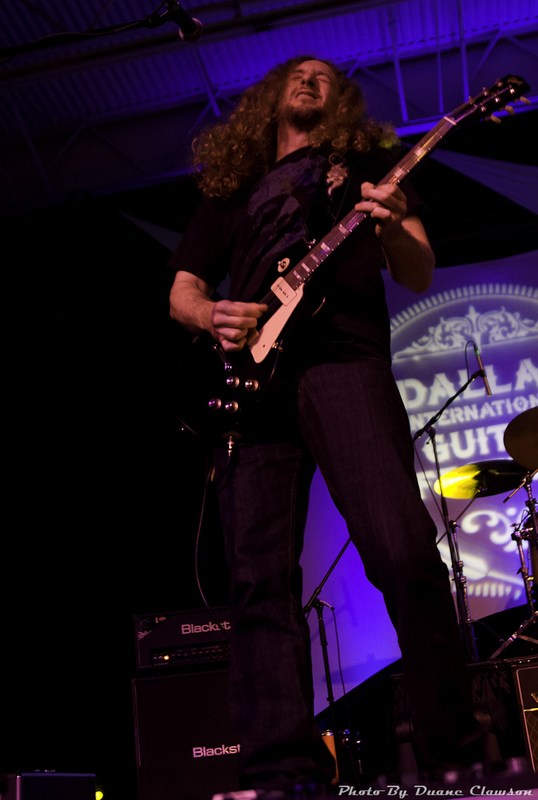 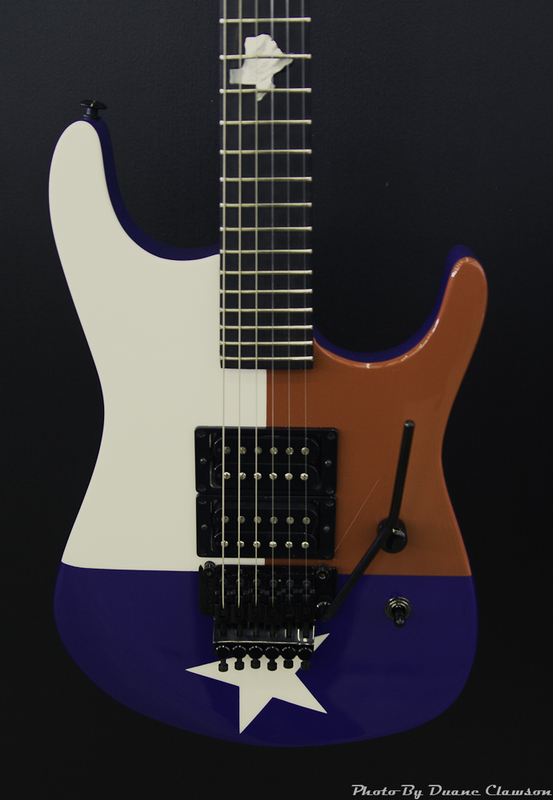 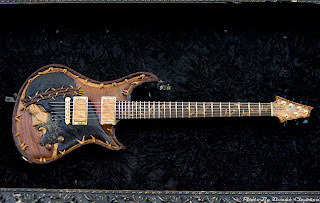 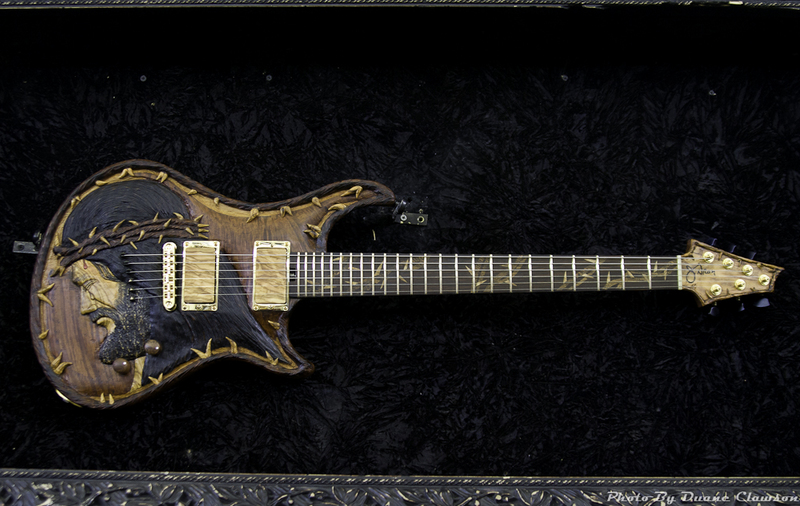 I don’t know about all of Texas, but one thing that is bigger in Texas is the Dallas International Guitar Festival (DIGF). 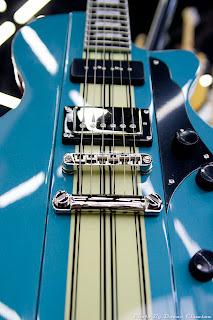 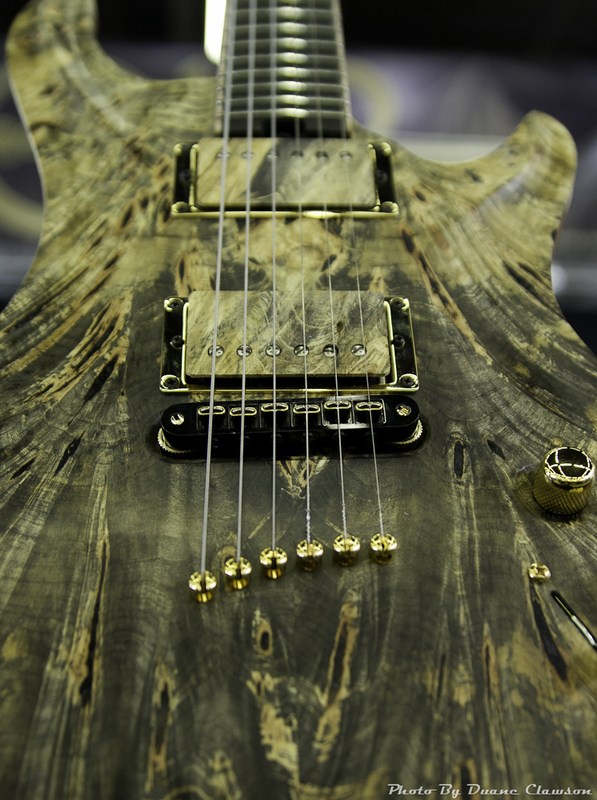 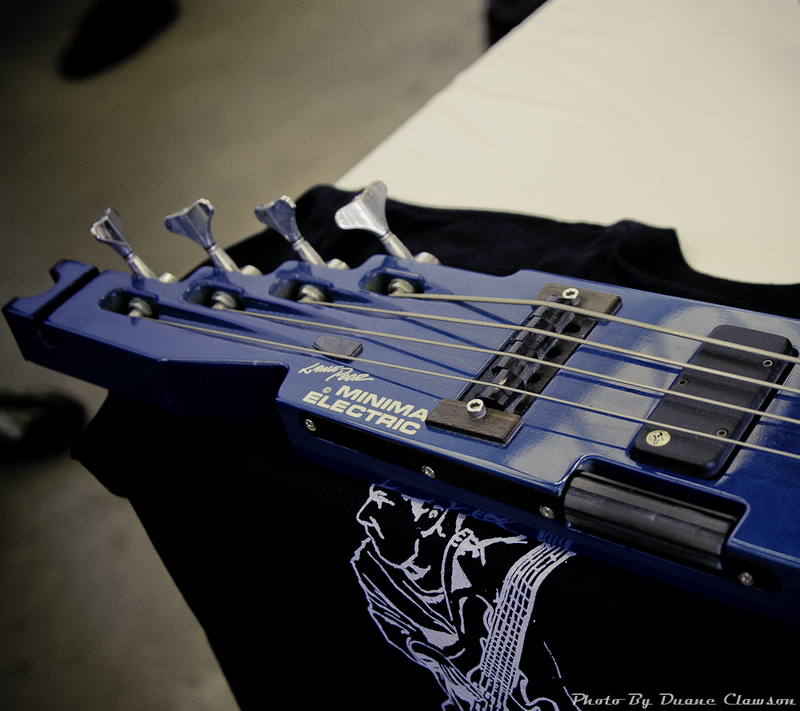 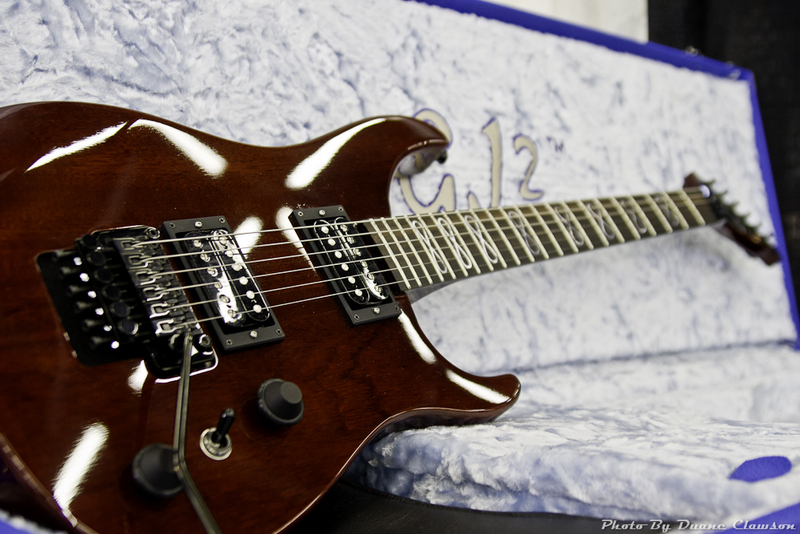 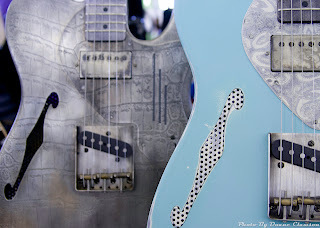 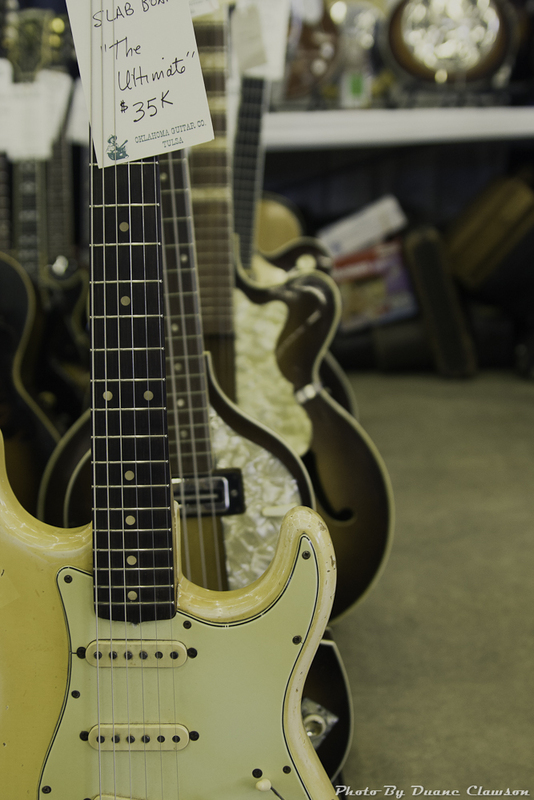 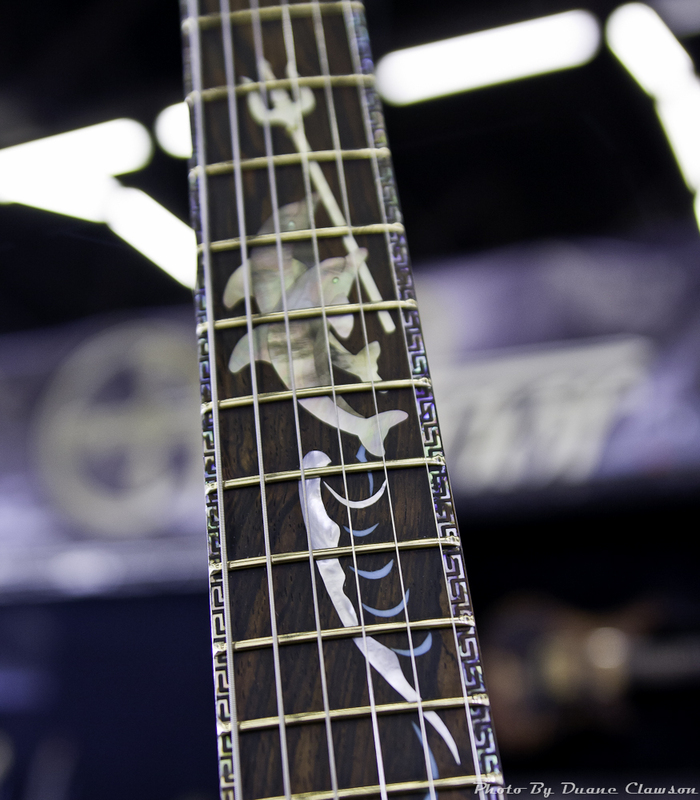 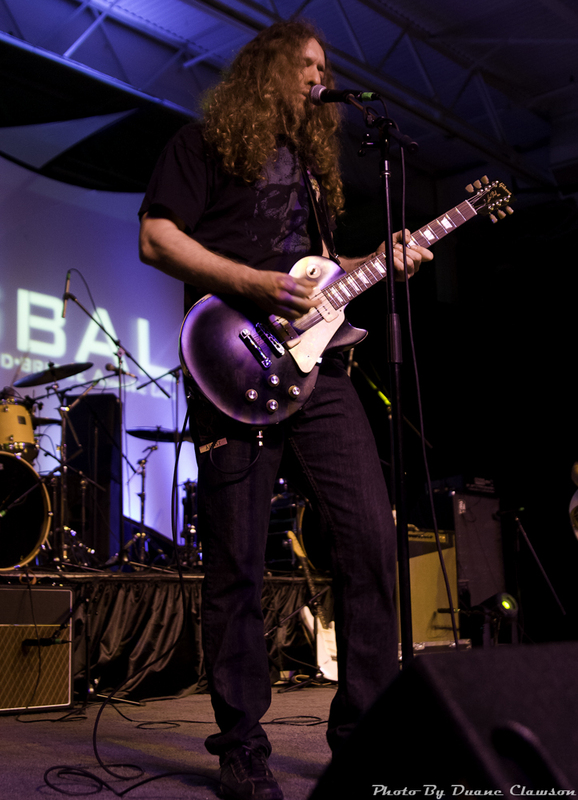 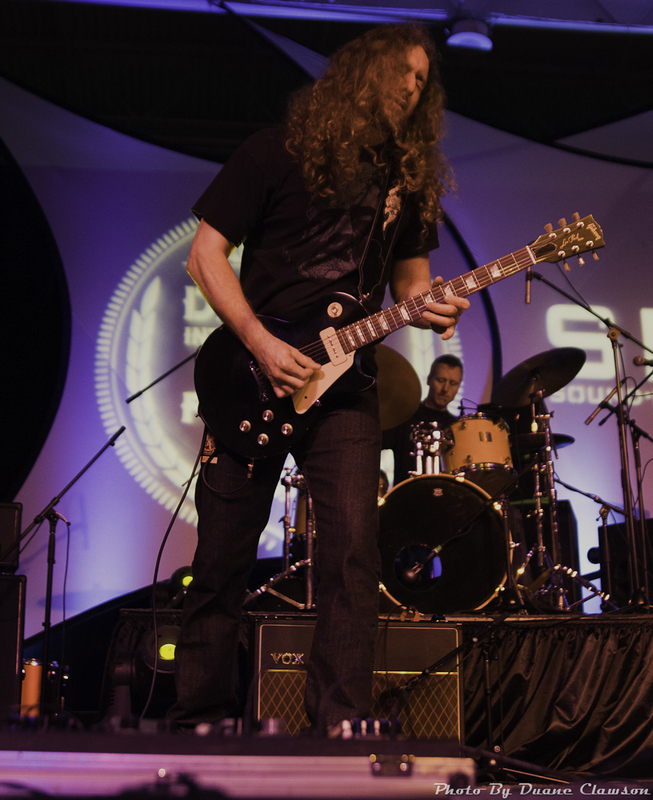 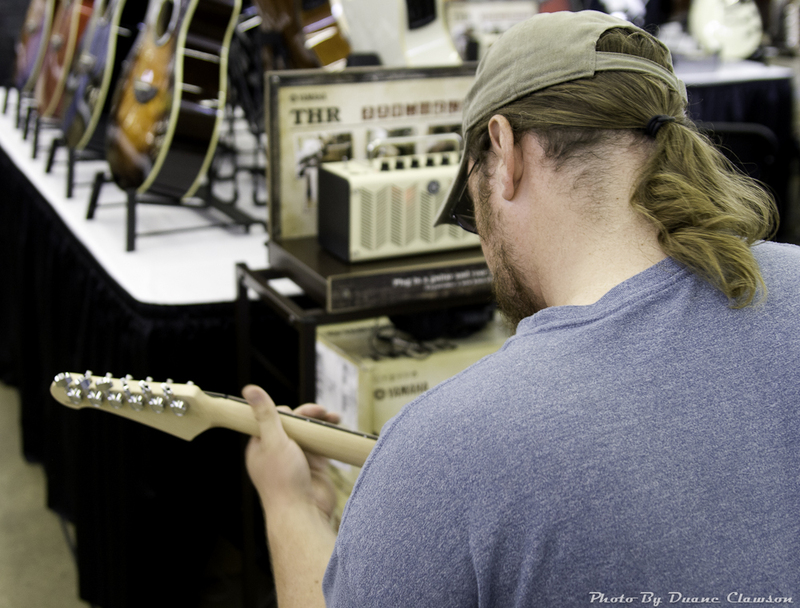 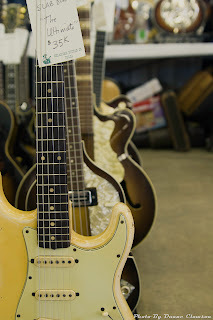 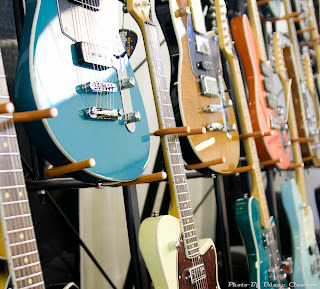 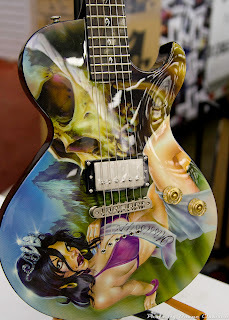 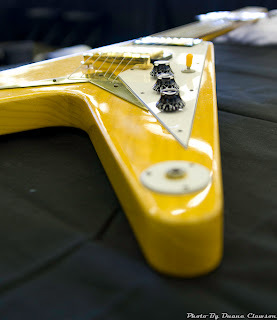 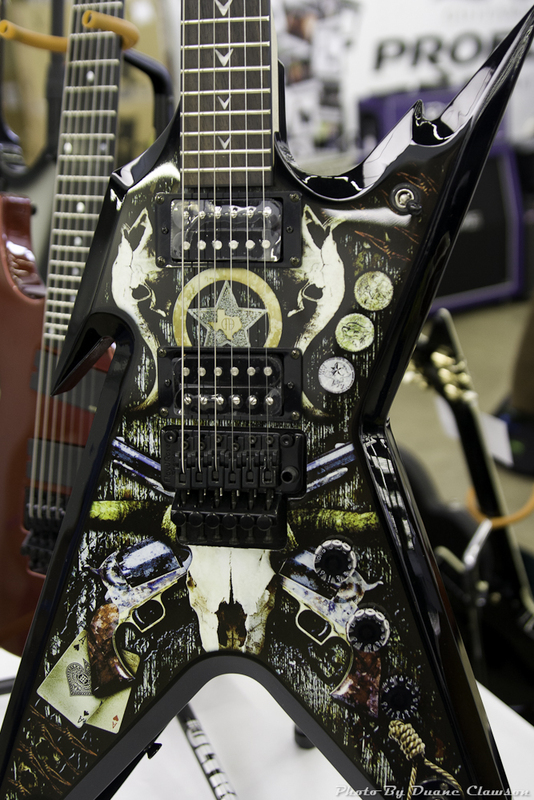 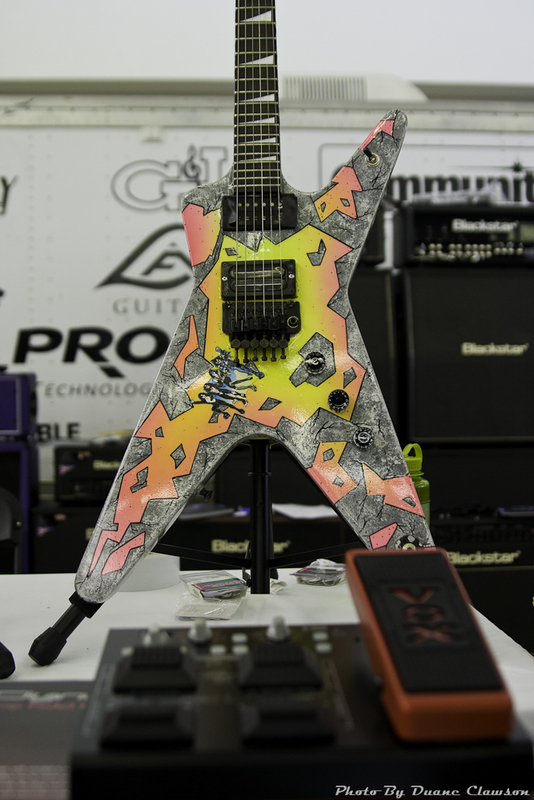 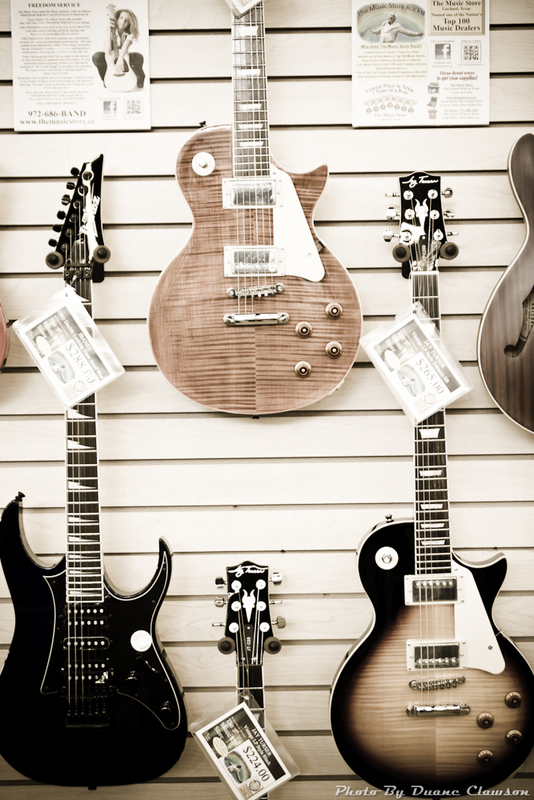 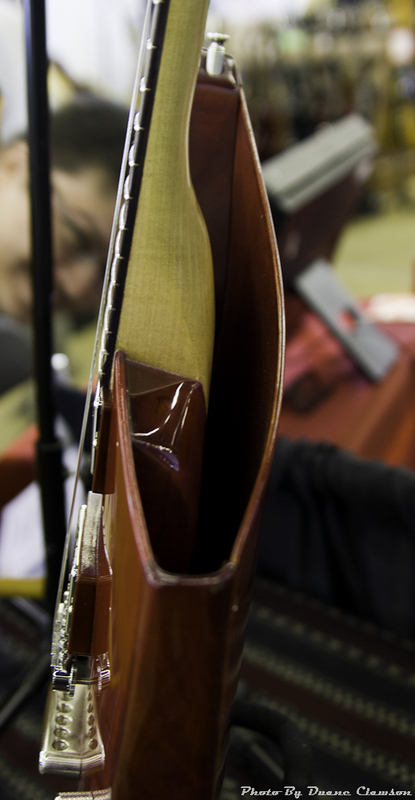 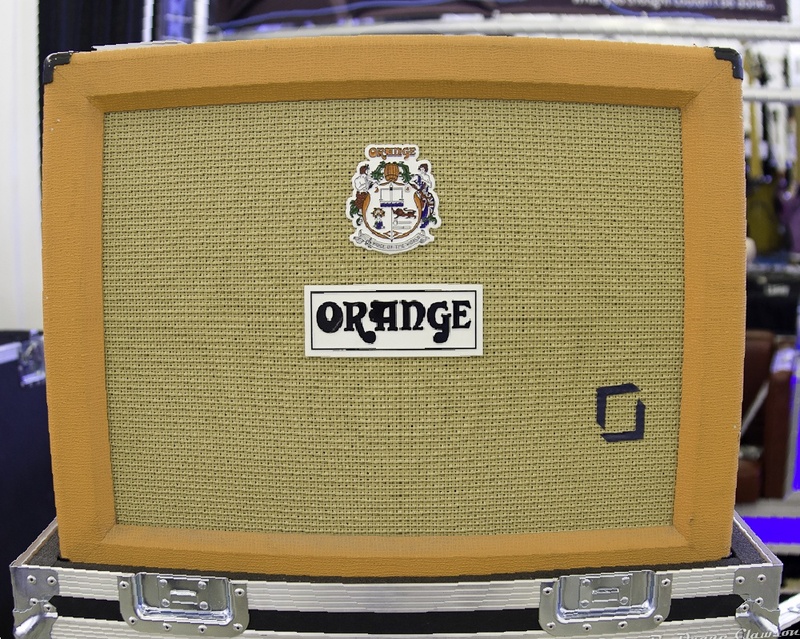 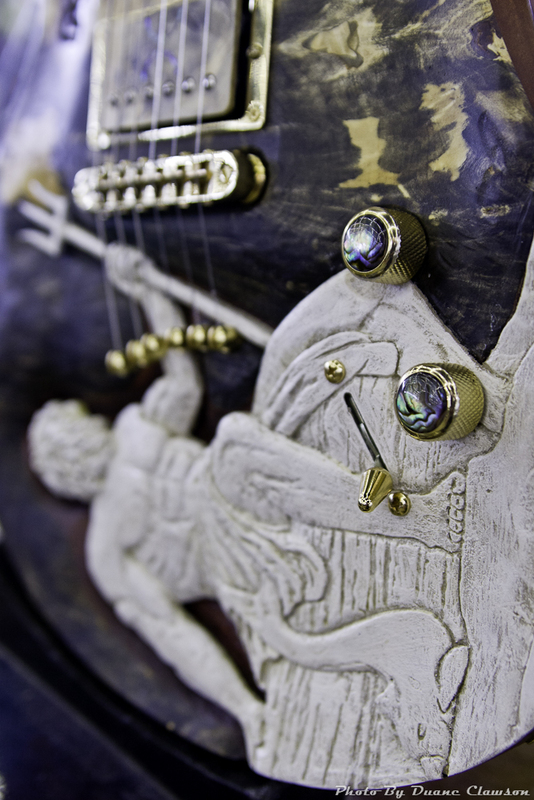 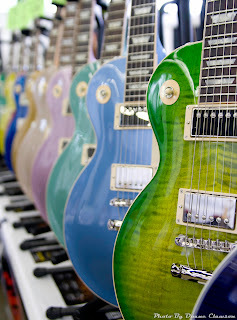 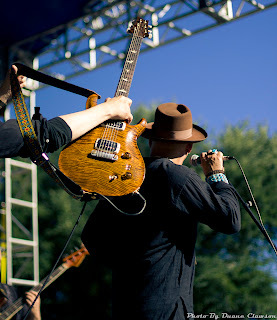 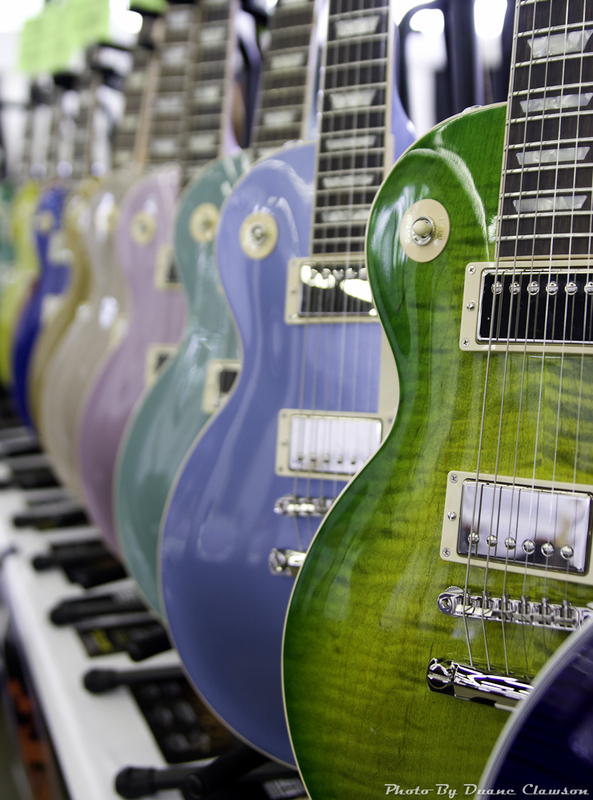 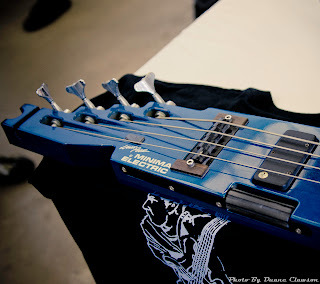 This annual event draws thousands of visitors to the Dallas Market Hall to view custom made guitars, new products and gizmos, and to hear some of the finest guitar players on the planet. This year I found my way to the DIGF two days in a row. 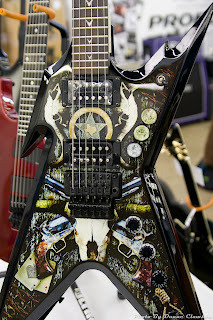 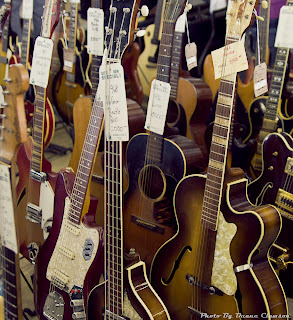 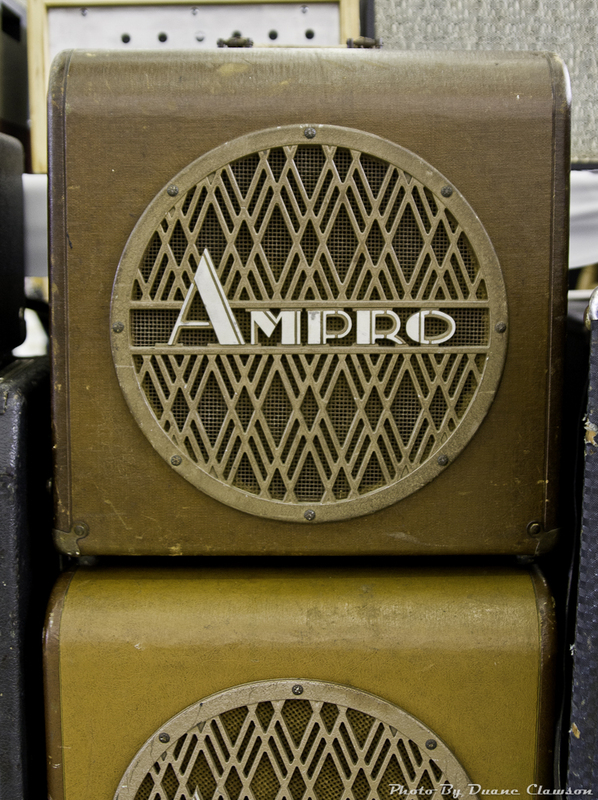 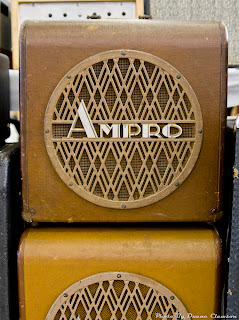 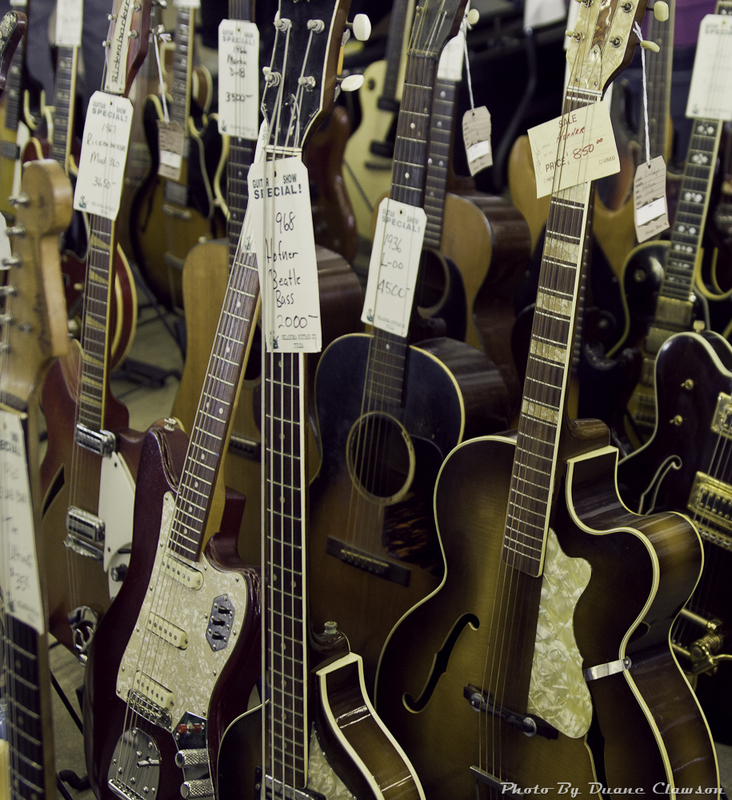 The Market Hall was packed, as usual, with guitar enthusiasts and vendors. 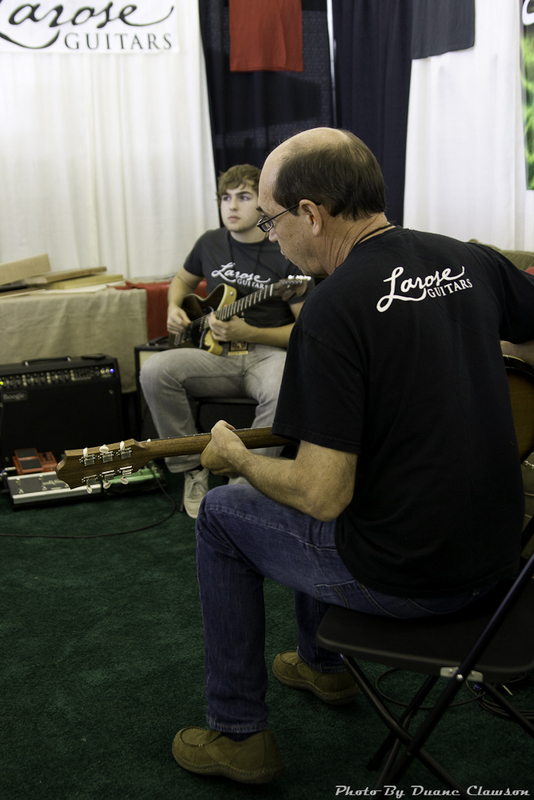 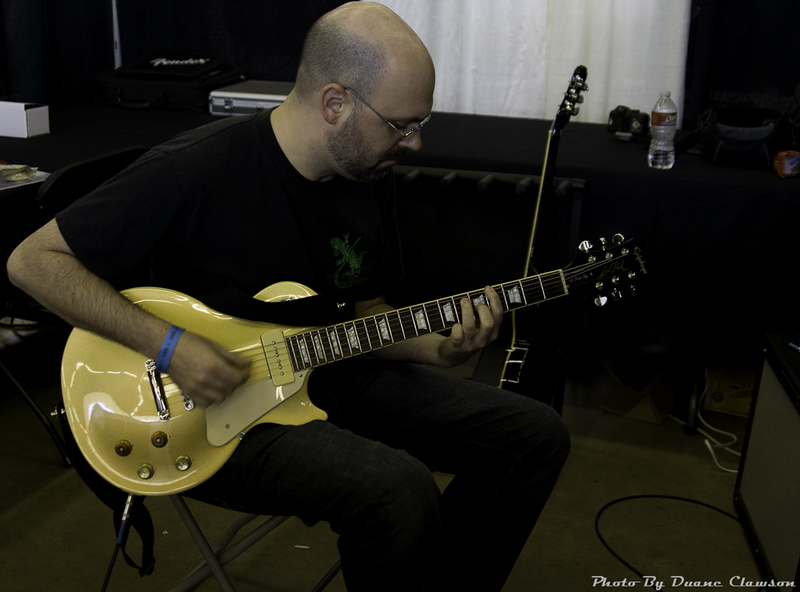 My first day at the show was kind of a preview day, but while previewing I had a chance to hear some excellent guitar players on both the indoor and outdoor stages. 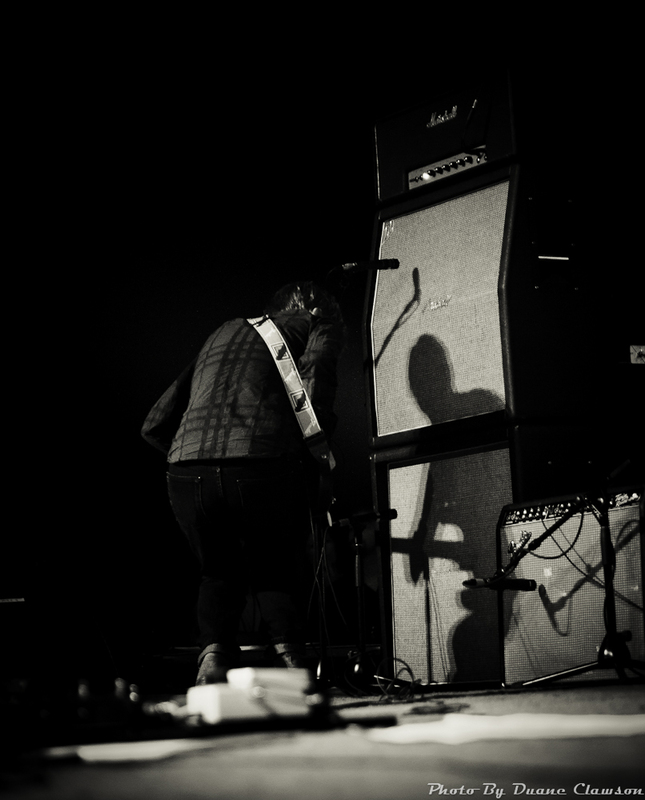 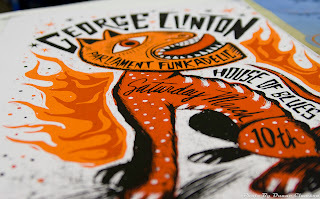 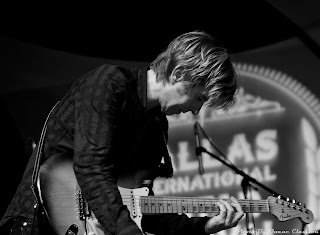 Two performers scheduled for my second day at the DIGF had my anticipation levels at an all time high. 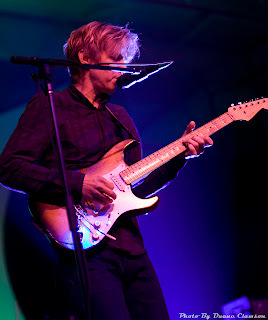 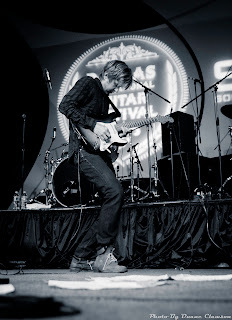 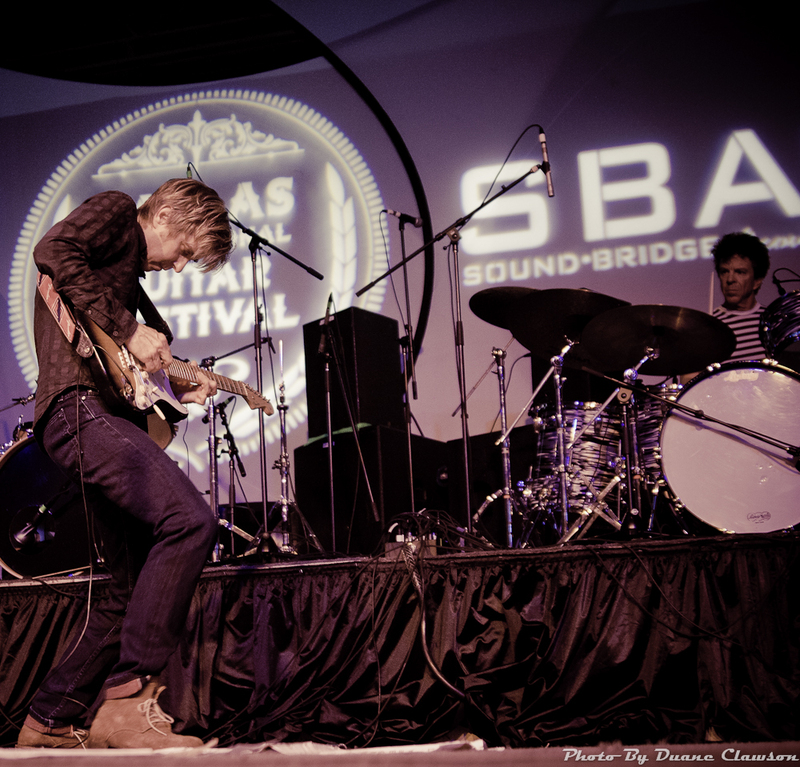 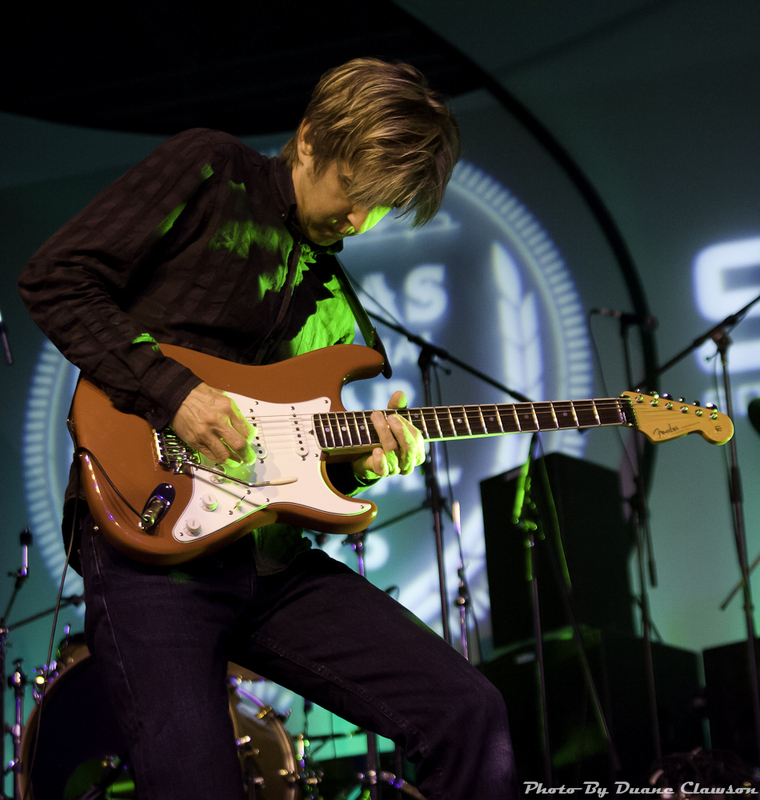 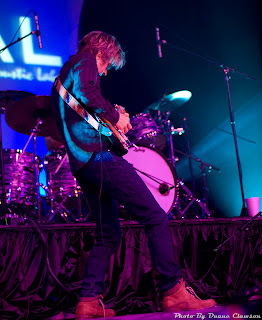 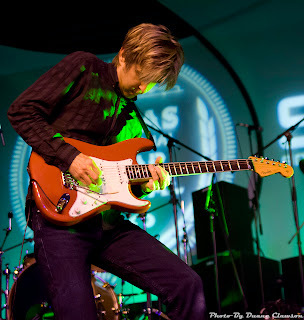 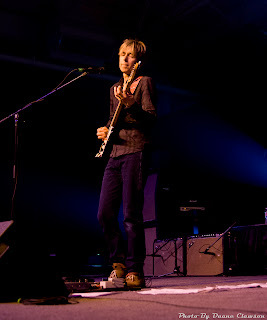 The first being guitar great, Eric Johnson. 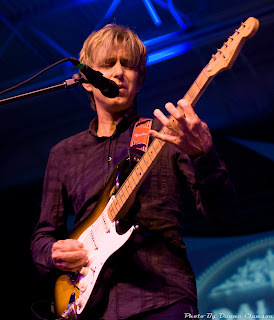 If you don’t know the name let me introduce you to Eric with a quote from Guitar Player Magazine: "One of the most respected guitarists on the planet". 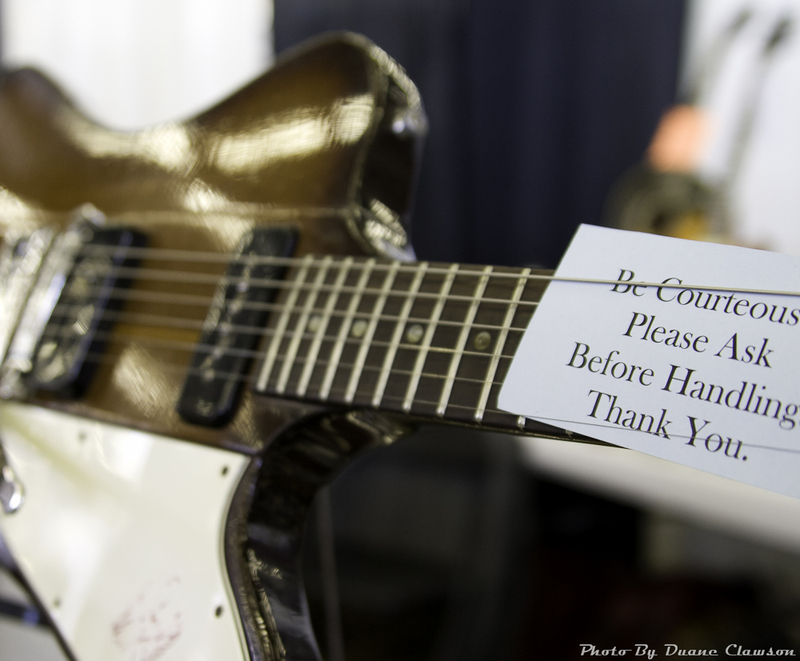 With an accolade like that, no further introduction is necessary. 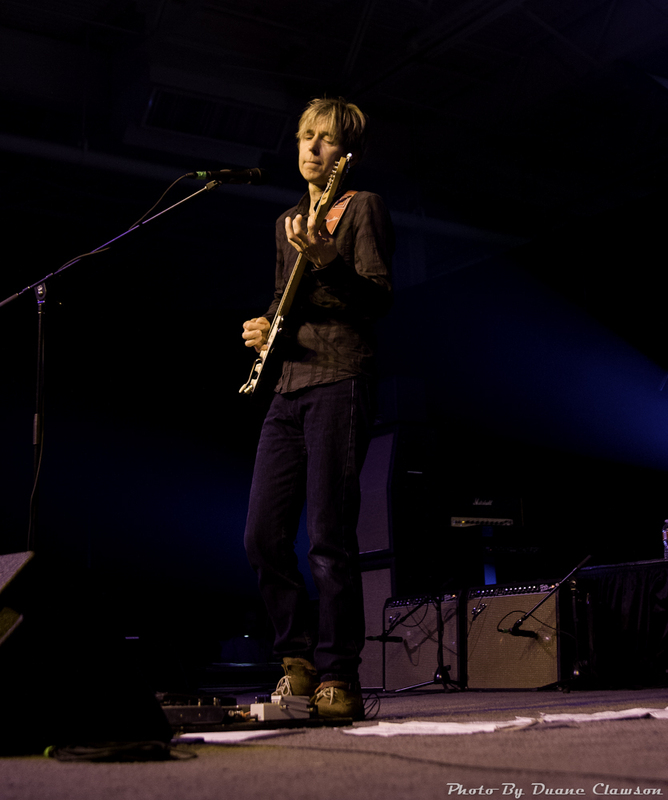 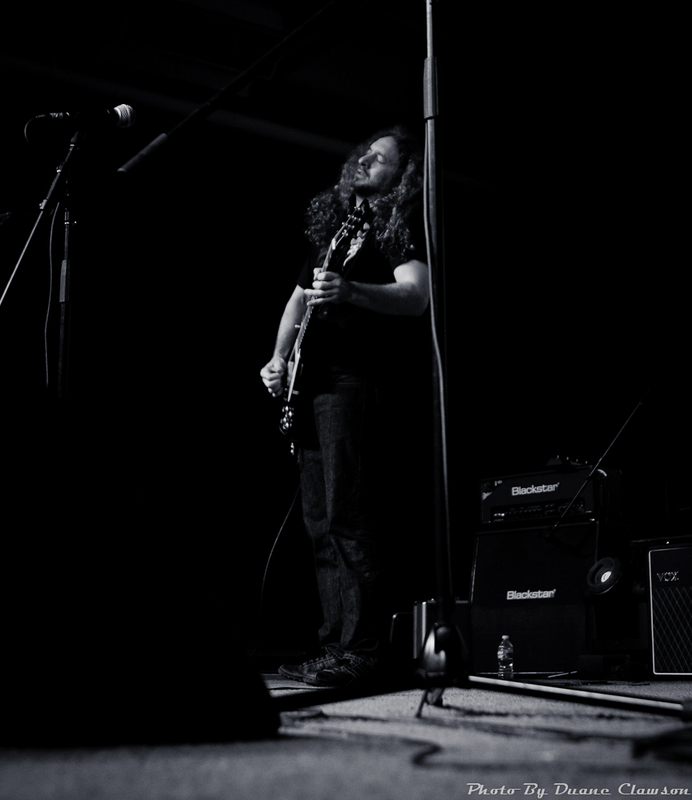 Johnson had something special in store for DIGF attendees, an extended set of Jimi Hendrix covers, in celebration of what would have been Hendrix’s 70th birthday. Flawless, is the only word that comes to mind when describing the way he covered Hendrix. 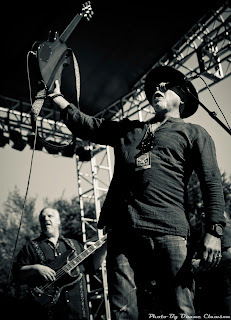 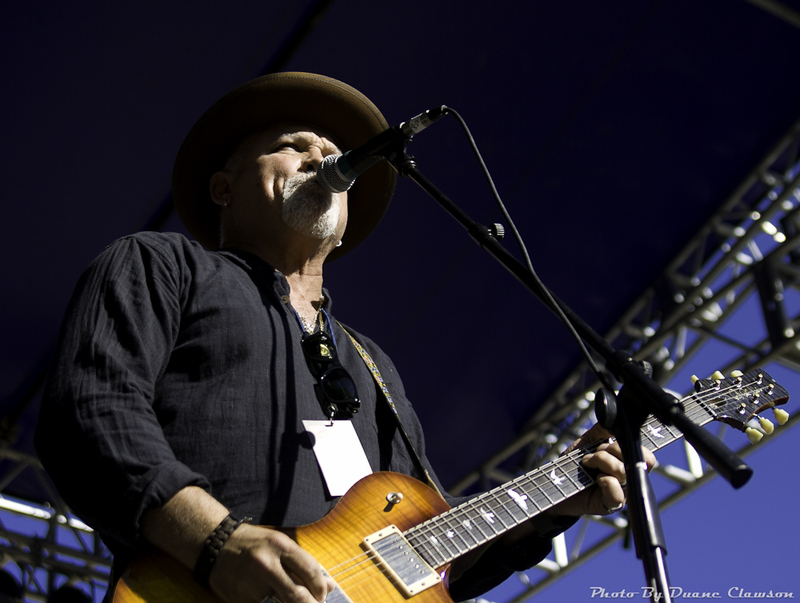 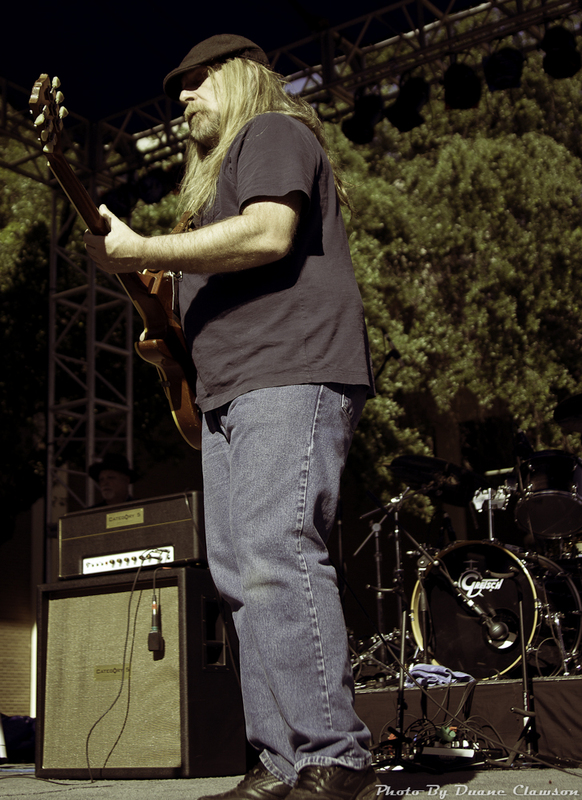 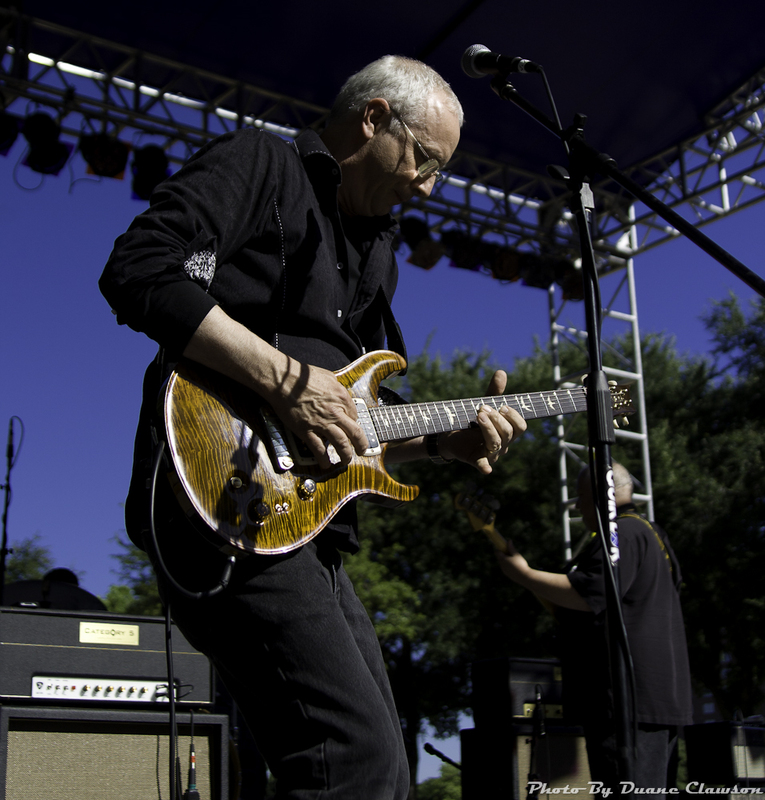 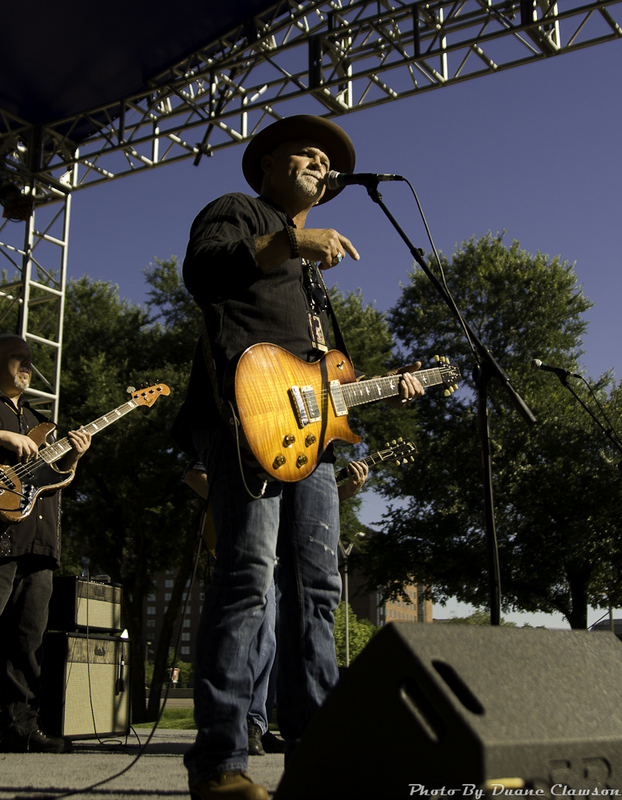 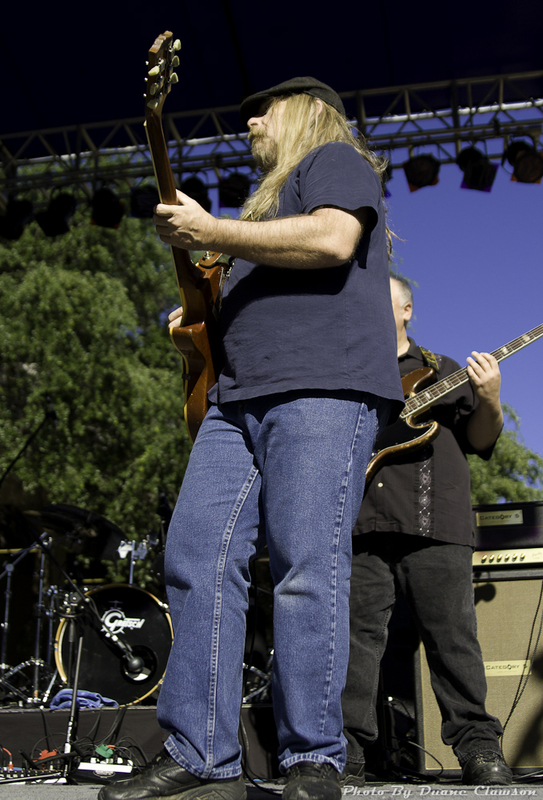 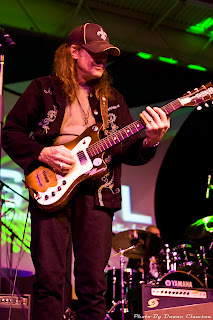 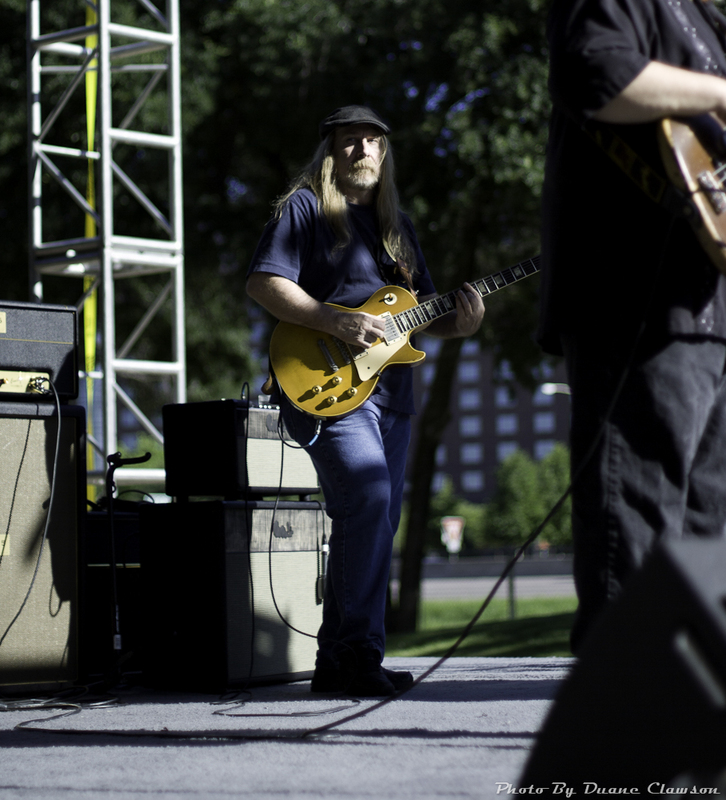 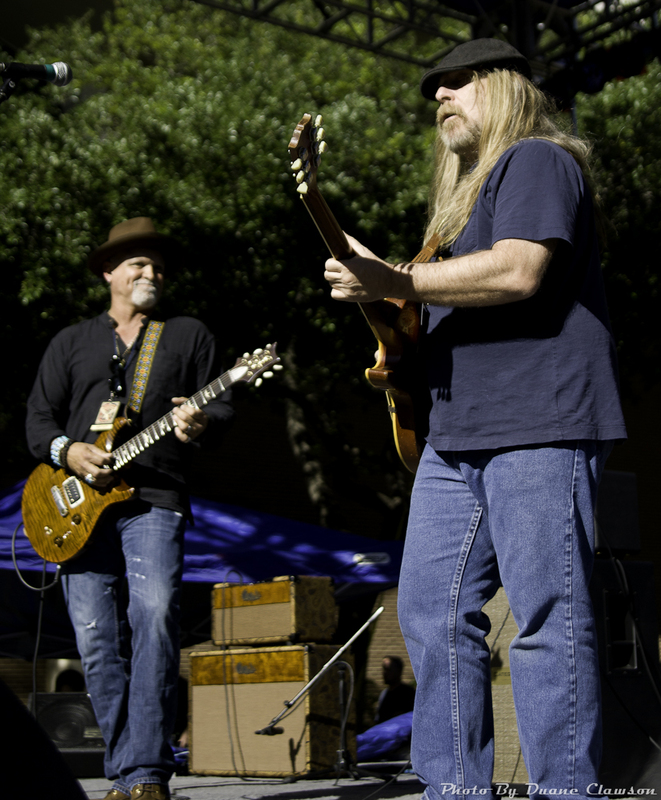 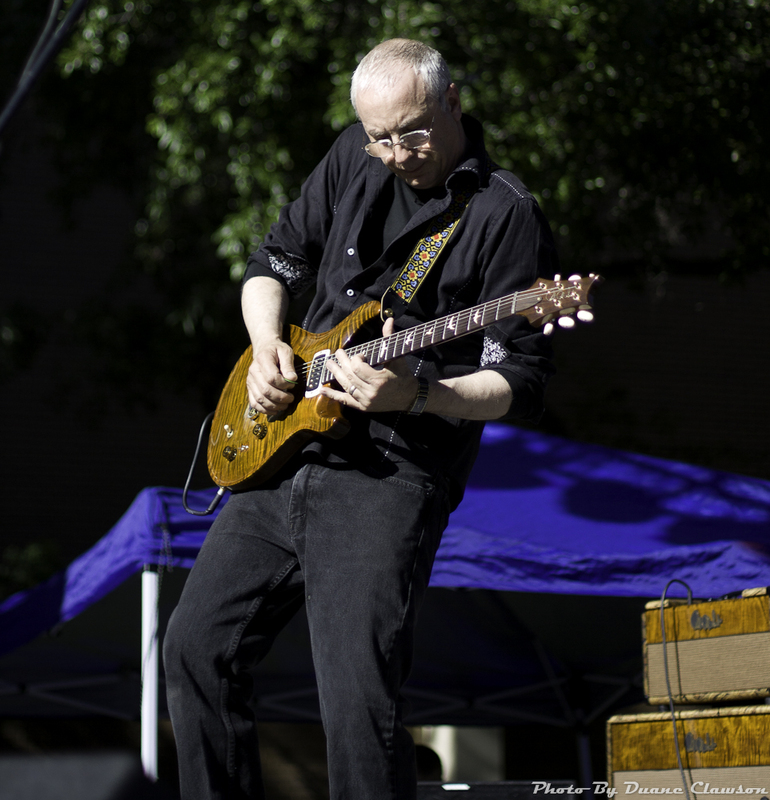 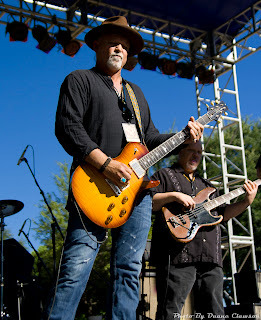 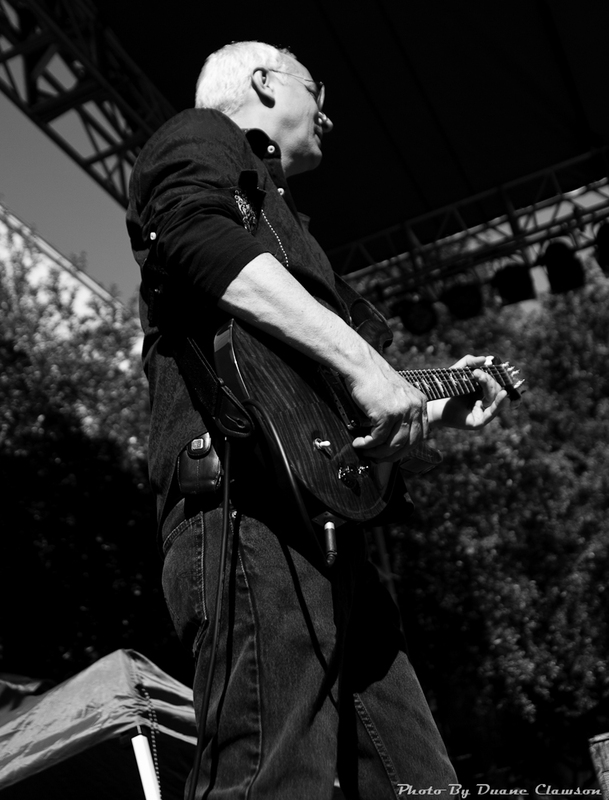 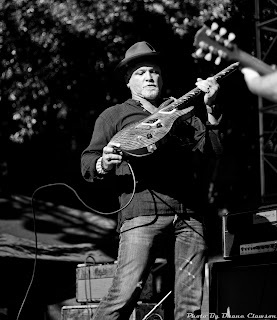 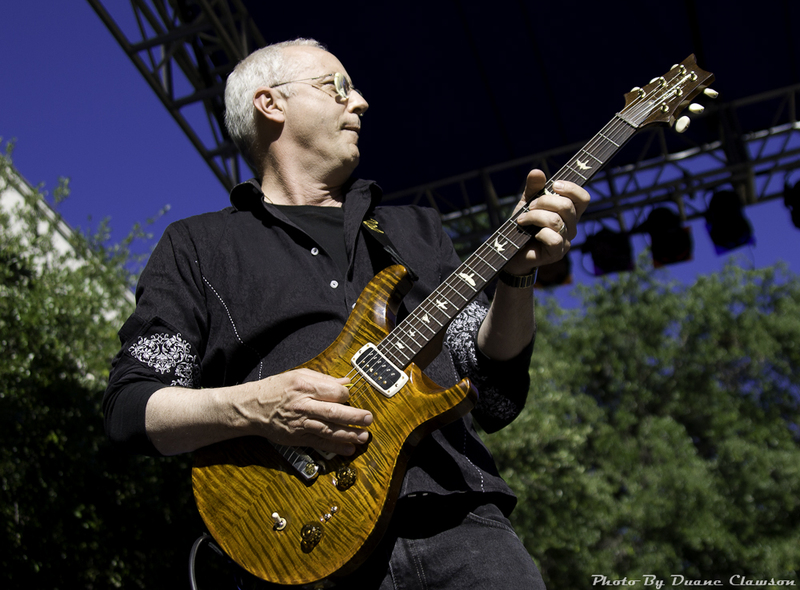 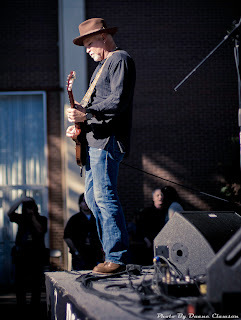 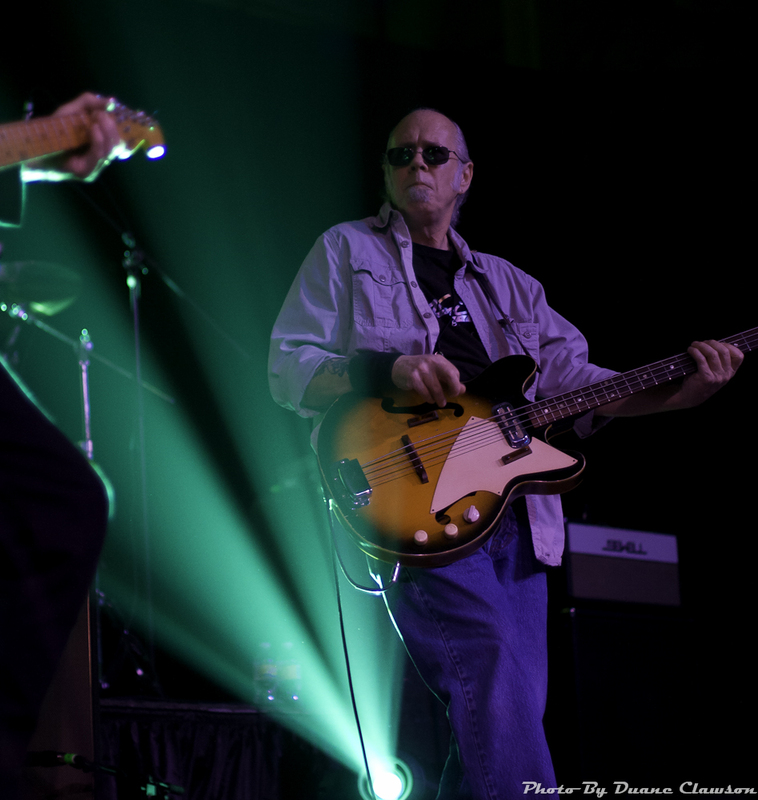 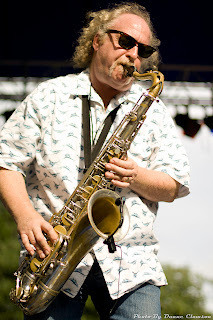 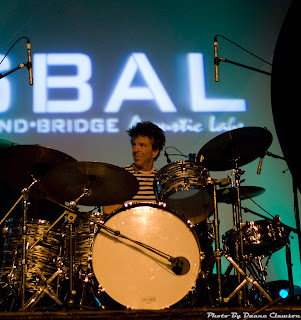 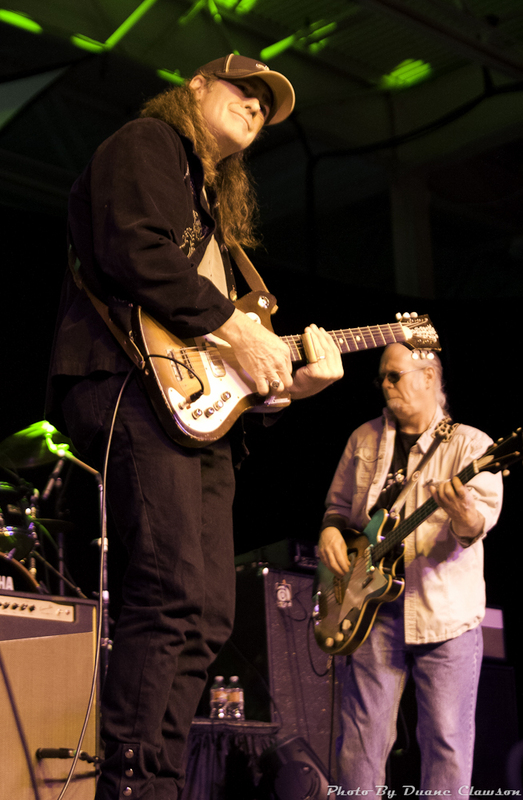 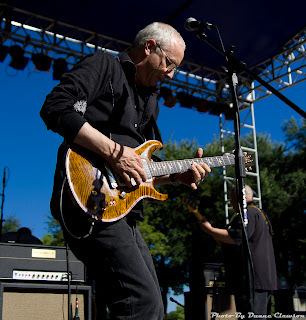 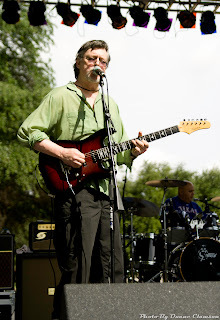 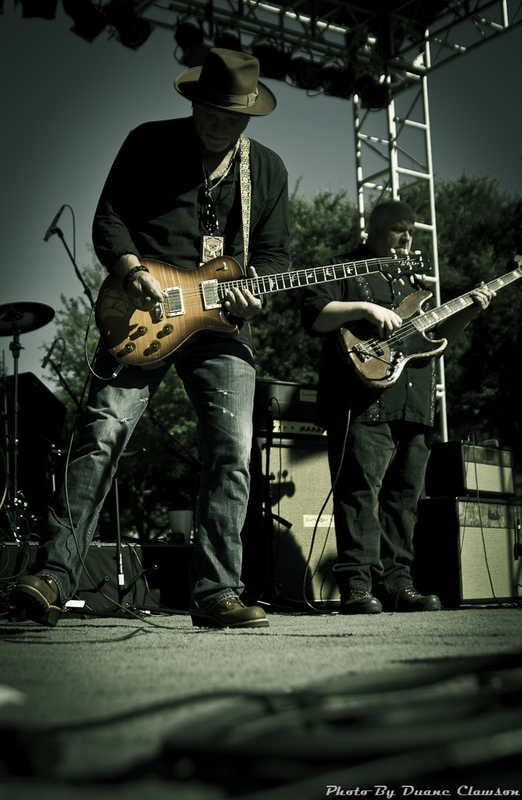 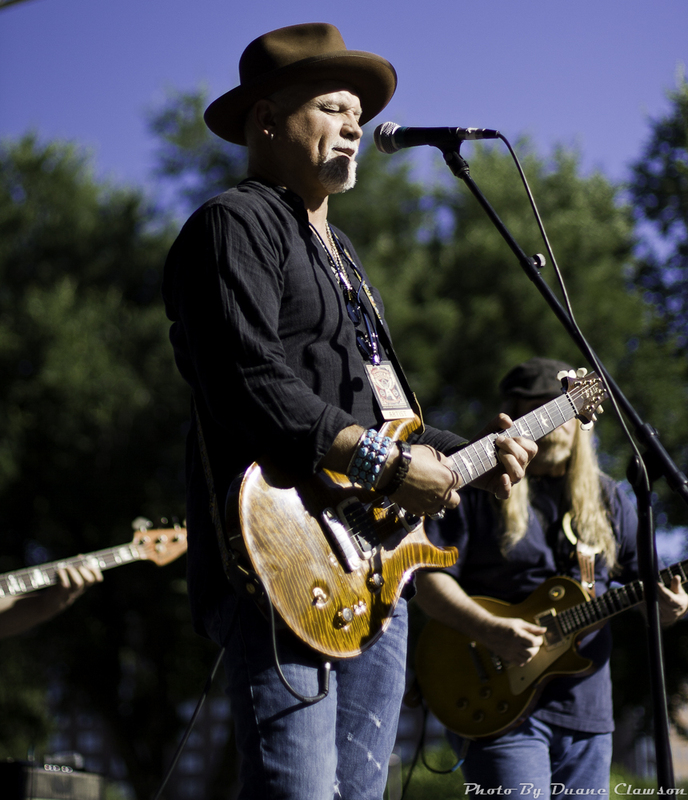 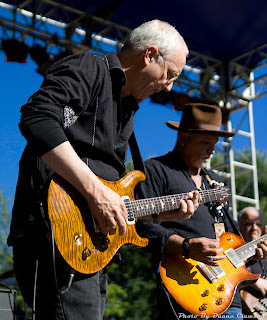 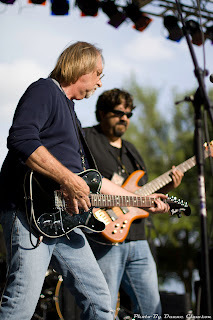 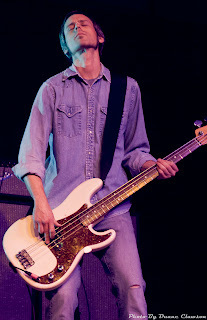 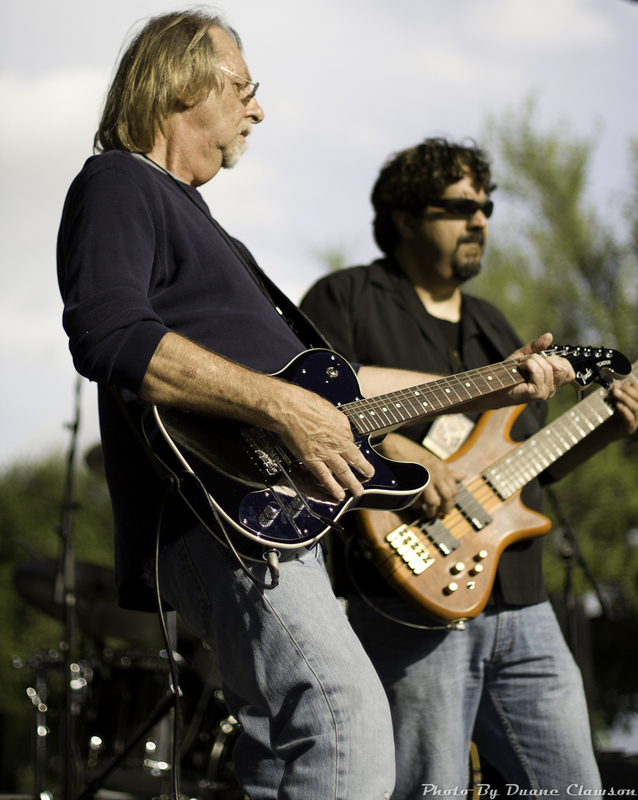 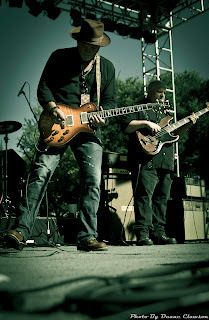 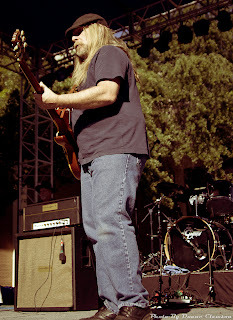 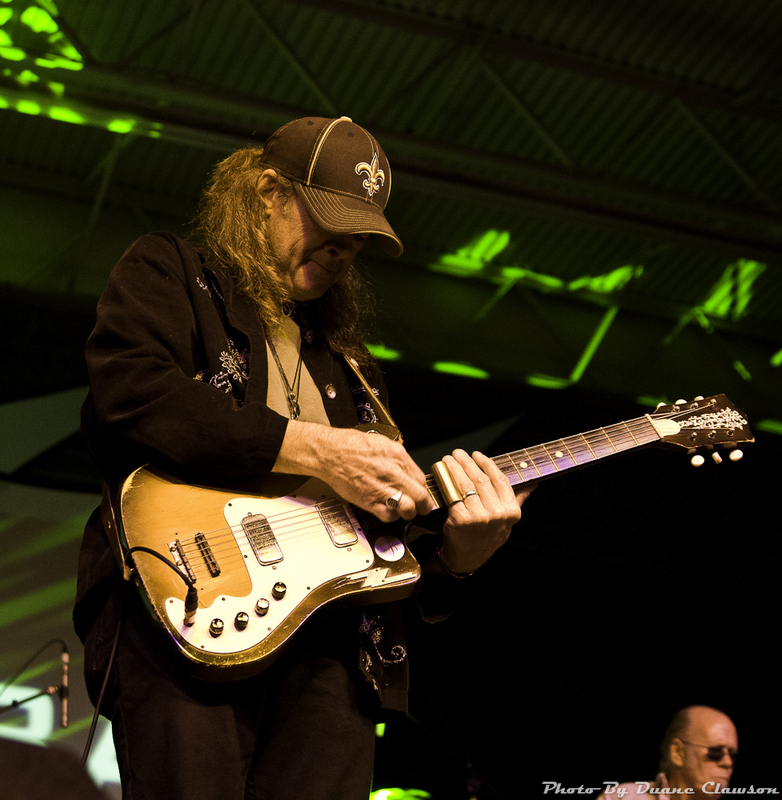 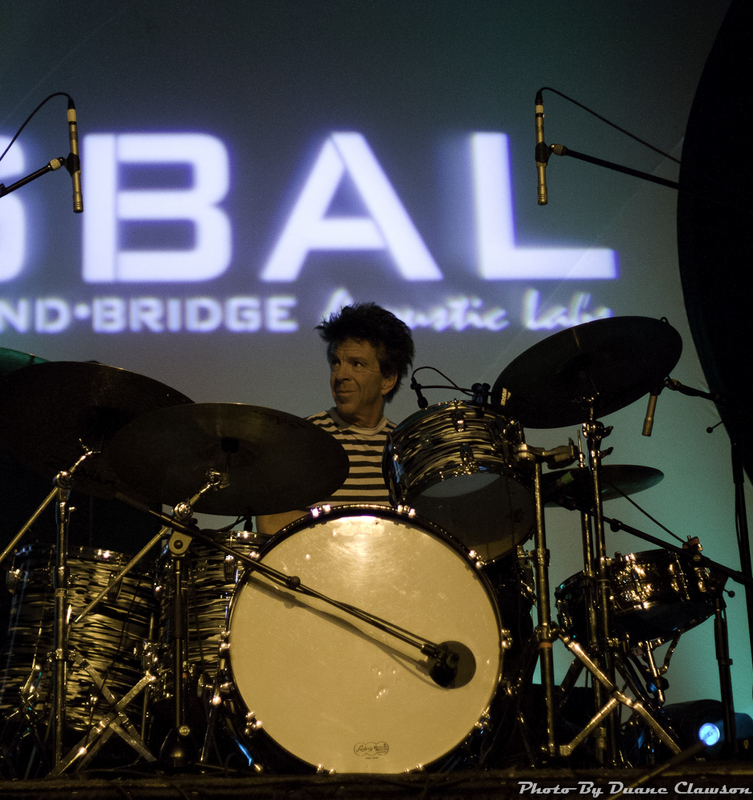 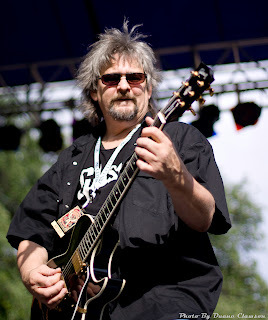 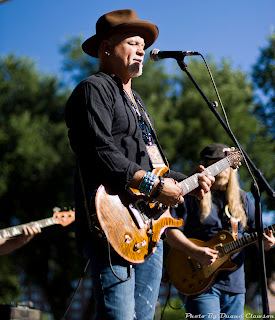 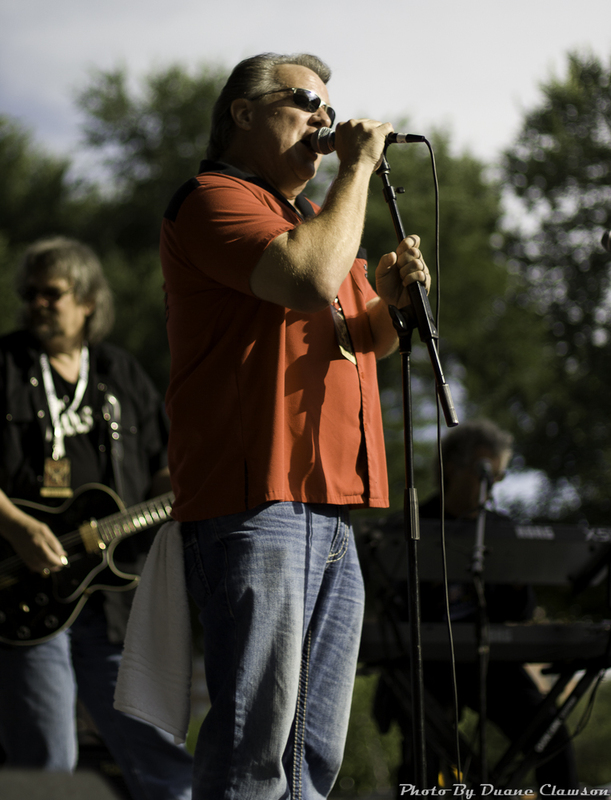 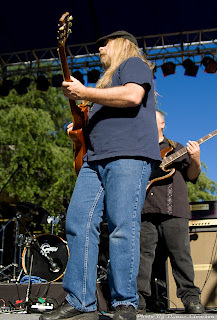 Johnson was accompanied by Chris Layton (of Stevie Ray Vaughn fame) on drums and Scott Nelson on bass. 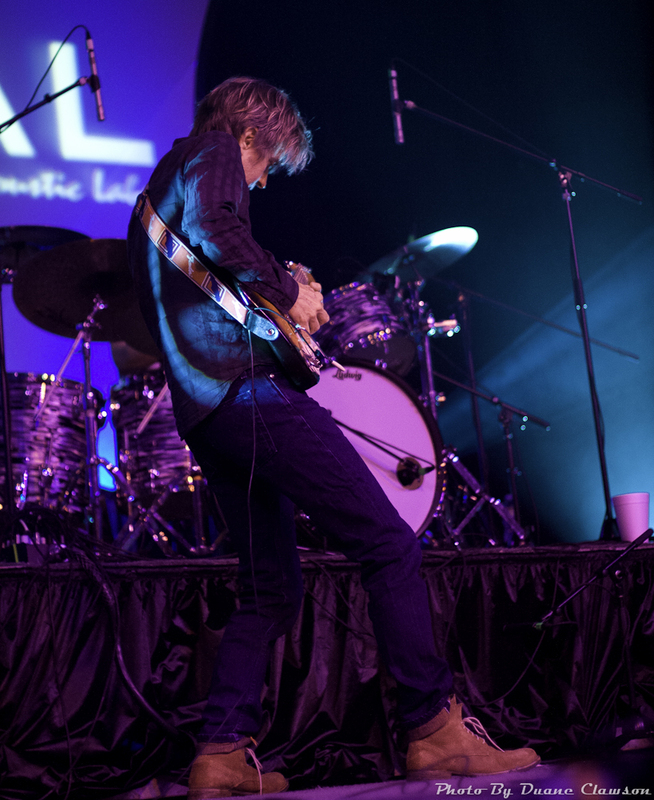 This trio played to a packed house, as many audience members had to sit on the floor to take in this special set. 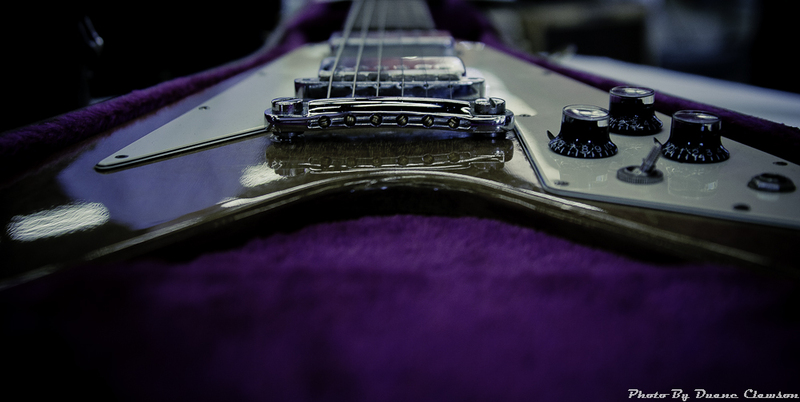 “Like a Rolling Stone” (Hendrix version), “Manic Depression”, and ”Are You Experienced” were just of a few of the covers selected by Johnson. 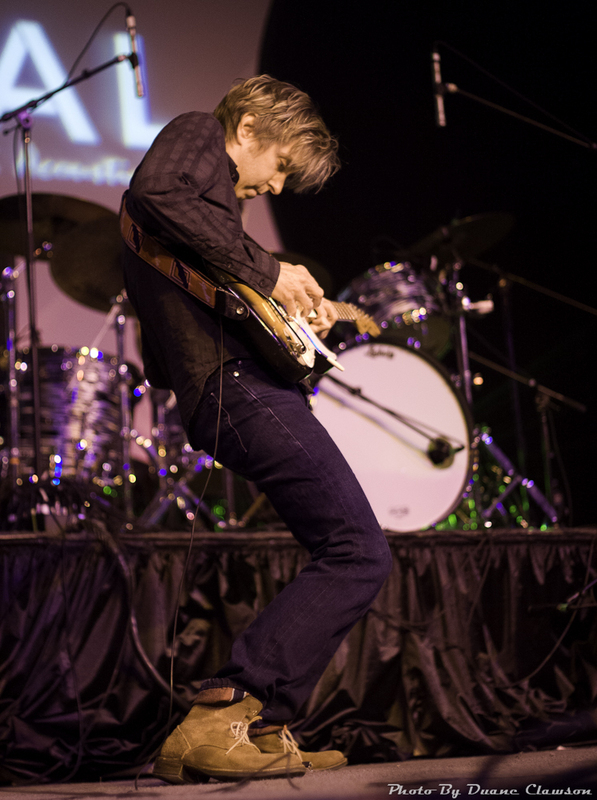 While Eric reproduced many of Hendrix’s signature tones effortlessly, there were flurries throughout the solos that were unmistakably Eric Johnson. 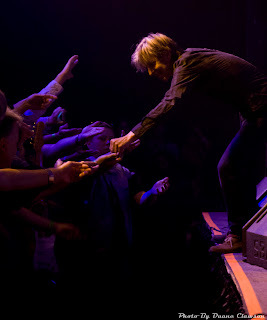 After giving many at the DIGF the thrill of a lifetime, Mr. Johnson stayed over to shake some hands and sign autographs.